I can’t help getting tickled seeing my name. I never can find my name on pre-printed name keychains, toys, Cokes, mini license plates, etc. 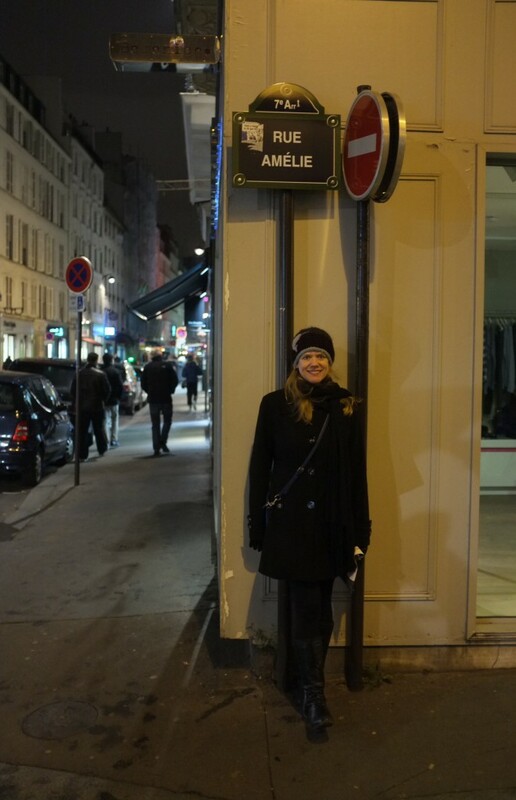 It’s becoming more popular in the U.S. now—a friend’s sister just named her daughter Amélie (and not after me)—but it’s still more common to find in France. 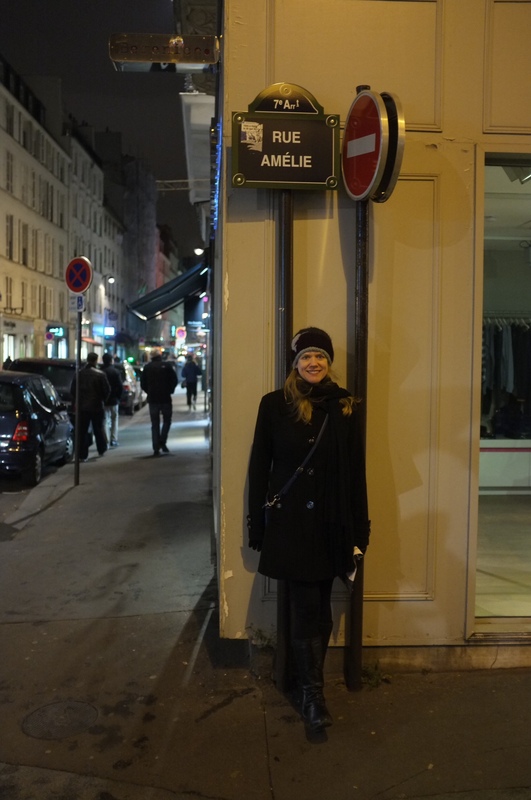 We happened onto this street in Paris during our honeymoon (Nov 2013).